PetBox is a monthly “bite-sized” gift box for cats or dogs of any size and part of TheGiftBox family. 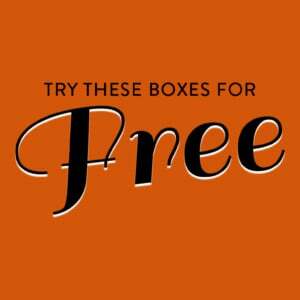 Our boxes contain a variety of products including treats, chews (dogs only) and toys. We focus on treats that are limited ingredient, all natural and delicious. Our dog toys will vary from plush toys, to stuffingless to extra durable. Kitty toys will range from balls, to catnip products to other fun feathery chasers. PetBox is a “bite sized” monthly subscription box. Filled with a few goodies, it’s perfect for pet parents on a budget, or for those pets that like to hoard their treats and toys. This is a review of the Cat Perfect Size, $14.99 a month + free shipping, box. The Cost: $14.99/month-to-month, $9.99/month with an annual subscription or $17.99 for a one-time purchase. Shipping is free! COUPON: Use code MSA50 to save 50% off your first box! The Products: ‘Each box has a variety of items including a toy, treats and a chew(for dogs). Treats are always premium brands with limited ingredients. Toys can vary, but some of the dog items you might receive would be a ball, plush toy, durable toy, stuffingless toy, or waterproof toy etc.’ This is a review of the ‘Hefty Hound’ box for dogs over 50 pounds. Check out more subscription boxes for dogs in the Pet Subscription Box Directory! 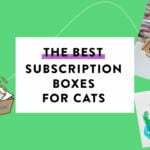 Keep Track of Your Subscriptions: Add PetBox to your subscription list or wishlist! That card focuses on the bond between people and their pets. PetBox is part of TheGiftBox line. It includes fewer items than Pet GiftBox, at a lower price point I think the size of this box – three items – is perfect for a small monthly treat. These treats contain ‘delicious ocean white fish garnished with green olives’ and are made in the USA. The description says that some cats’ reaction to olives resembles their response to catnip, but my cat (Shishi) just sniffed at these. She’s not a picky eater at all, but I couldn’t get her to try one. I’m going to save them for when my kitten gets a little bit older. This is a treat dispenser that you hang on the door. The cat pulls the purple ball to dispense the treats. I filled it with Meowtinis and while Shishi didn’t care about the treats, she was really interested in pulling on the ball of fluff. I wasn’t sure if she’d use it when it was hanging on the door, but I left the room for five minutes and returned to find Meowtini pieces all over the floor! I think this is a cute way of dispensing treats, as long as the cat will clean them up. This classic toy was the big hit of the box. I was barely able to get a photo of it because Shishi wanted to inspect it even before I removed it from the card. She loves feathers and anything dangling on a string, so this was perfect. She had a lot of fun with this, stalking the bundle of feathers and leaping into the air trying to catch it. The feathers are on elastic that bounces away when she lets go. Verdict: My estimated value is $8.53. 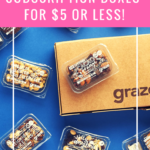 The sites I’ve linked for prices do charge shipping for small orders, so I can see this being convenient and fun if you buy an annual subscription at $9.99/box. At the month-to-month price of $15, it’s not a good deal. However, Shishi did enjoy playing with the toys and I had fun watching her enjoy herself. What do you think of September’s PetBox for cats? Does your cat have a favorite type of toy? Coupon code didn’t work when I tried to purchase a Large breed box. Bummer. Thanks! She can be a little aggravating, so I always tell her, ‘it’s a good thing you’re so cute!’ She gets away with everything.